The panther ignites passion and willpower. 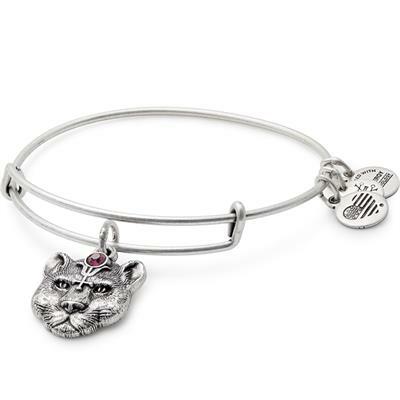 Paired with the alchemical symbol of antimony, a metal that represents the animal in each of us, the panther is a fierce guardian of the heart. Awaken your wild heart and reclaim what's yours with the ALEX AND ANI Wild Heart bangle. This fabulous symbol is Rafaelian Silver plated and hangs from an expandable wire.